Express your love for Mom this Mother’s Day by treating her to a delicious meal at The Bellevue Collection’s Dining District. From a classic breakfast for the whole family to an intimate dinner for two, The Collection has it all. Here are some ideas to get you thinking about what to do with Mom from a casual family meal to a relaxing massage at the spa. Looking for a breakfast place for Mom and the whole family? Eques in Hyatt Regency Bellevue offers an a la carte breakfast or Pacific Northwest-themed buffet. Whether she prefers eggs Benedict or French toast, this breakfast hot-spot is sure to have it. How about a classic breakfast, perhaps followed by some shopping? Marketplace Cafe at Nordstrom features menu items like a garden omelet or eggs, potatoes and fruit, and they can tailor their dishes to meet everyone’s needs. Nestled on the first floor of The Westin Bellevue, Cypress Lounge and Wine Bar offers a buffet-style, all-American breakfast and can accommodate parties small or large. The family-friendly atmosphere has food options like pancakes, pastries, and an egg station. If you’re planning to stay home and make Mom breakfast in bed, surprise her with lunch at The Bellevue Collection. Serving farm-to-table cuisine in a farmhouse-feel atmosphere, The Lakehouse, run by James Beard award-winning chef, Jason Wilson, serves up small plates and appetizers like Moroccan spiced carrots and Dungeness crab toast amongst many other salad, pasta and entree options. For fresh and local ingredients with a taste that is inspired by Mexico and the American Southwest, visit Cactus Restaurant. Their lunch menu features items like grilled fajitas, tortilla soup and smoked chicken chop salad. With over 250 menu items, The Cheesecake Factory has the whole family covered. Take delight in dishes like vegan cobb salad, flatbread pizzas and chicken samosas. Celebrate Mom with an intimate evening out on the town. For a top-notch experience and high-quality food, visit Baron’s Xi’an Kitchen and Bar. Healthy eating is a concept that they incorporate into their food, which blends together the fresh ingredients of the Pacific Northwest and the rich heritage of traditional Chinese dishes. Don’t forget to try their crafty cocktails like the smoked old fashioned, where the whiskey is infused at the table with smoked bourbon barrel wood chips. Committed to serving local and fresh food, McCormick and Schmick’s Seafood Restaurant sources their own seafood and their dishes have been recognized for culinary excellence. For a fine-dining experience, head over to Ruth’s Chris Steak House, who specializes in the finest custom-aged Midwestern beef. Indulge in dishes like New York strip steak, bone-in filet and lobster macaroni and cheese. 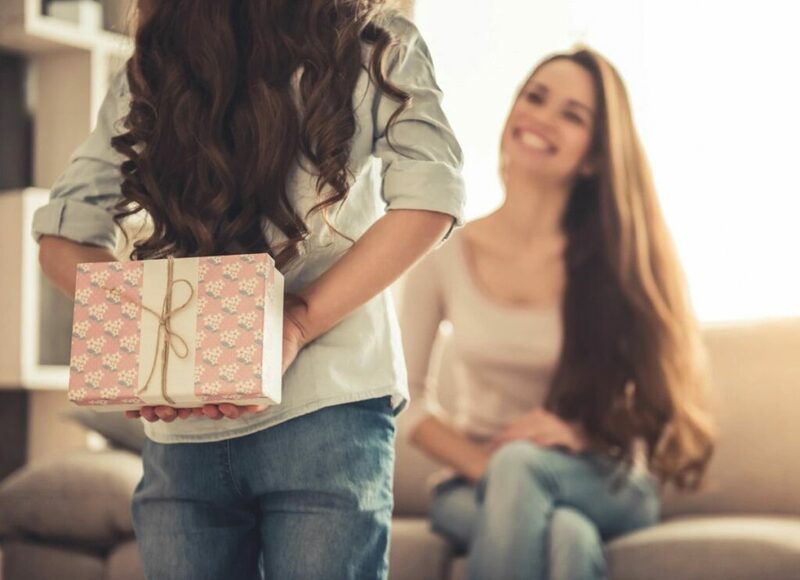 For a little something extra to show Mom just how much you care, send her for a relaxing massage at InSpa, a mani/pedi at Organic Nail Bar, or a custom blowout at Drybar or O2 Obadiah Blow Dry Bar. To learn more about restaurants within The Bellevue Collection’s Dining District, please visit their website.